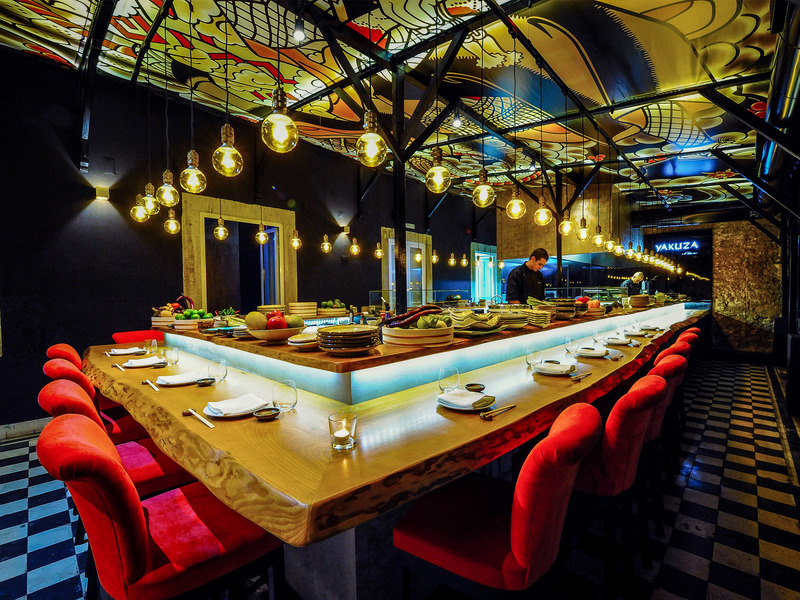 Raw fish and hot dishes with weird flavours. 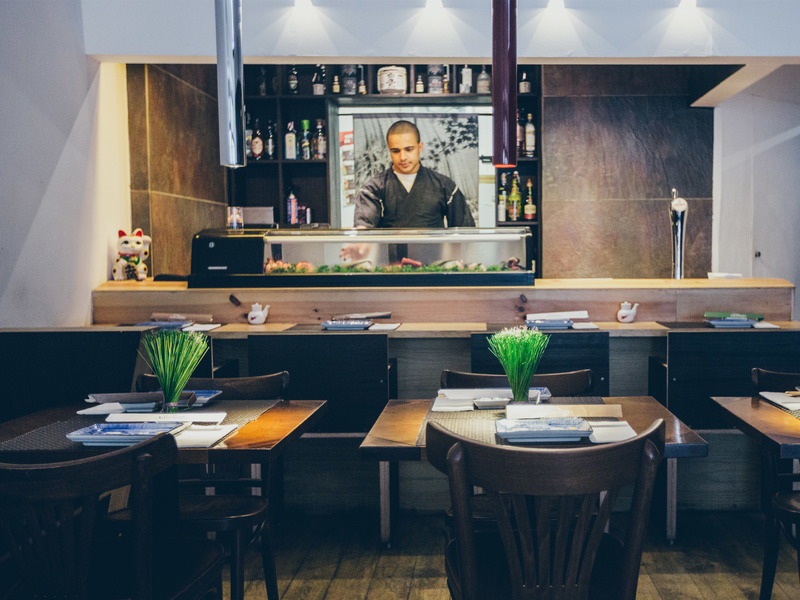 That's how we like it and these are the best Japanese restaurants in Lisbon to get it. 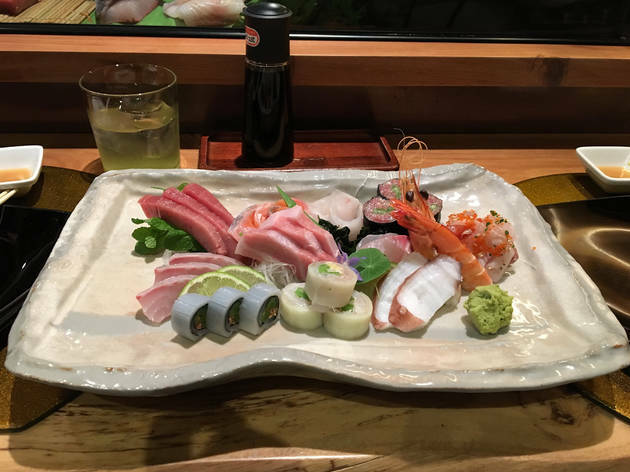 Tomoaki Kanazawa, or Tomo, as he is known, has probably the best hands to work sushi and fresh fish in this city. 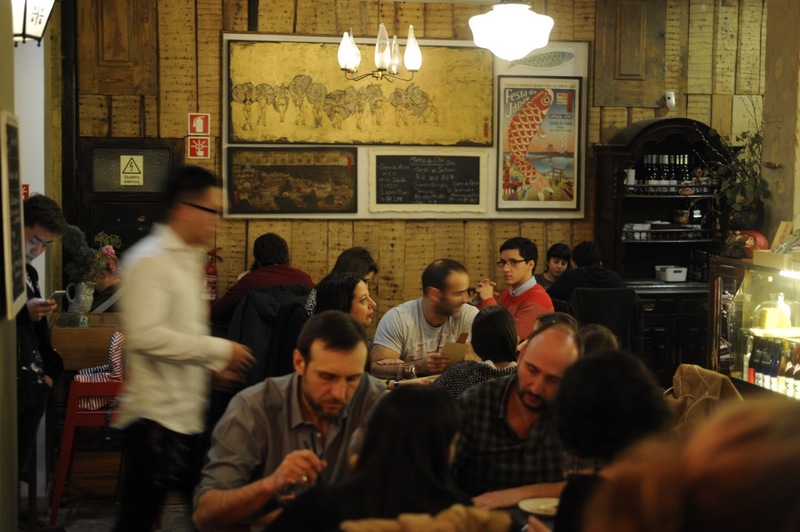 He came to Lisbon through an invitation from the Japan ambassador in Portugal, went through Aya, gathered a legion of followers at Tomo and, after all these years, opened the place he always wanted: a small restaurant that only serves eight people a day. Reservations have to be done at the website, with at least three days’ notice and he himself tells you that the menu price may change (from 60€ to 150€), depending on the situation. It has 30 years but many lives in between. This is, many sushimen in its kitchen, each with a different feel, but always with the maximum talent and without neglecting the restaurants base: a mix of hot meals of a typical Japanese chop-house and raw fish (very fresh). 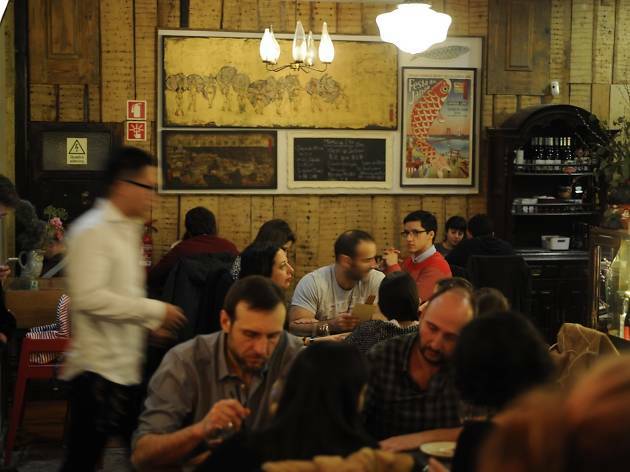 It has one of the best lunch menus of the city, when it comes to quality-price, at 10€, and in the cold months they have a great ramen on Saturdays, every fortnight – reservations are advised. It's been a few years since Olivier decided to start an adventure with sushi. His first venue was Yakuza in Tivoli Forum, then in a shared space with Olivier Avenida and now in a beautiful location in Príncipe Real. 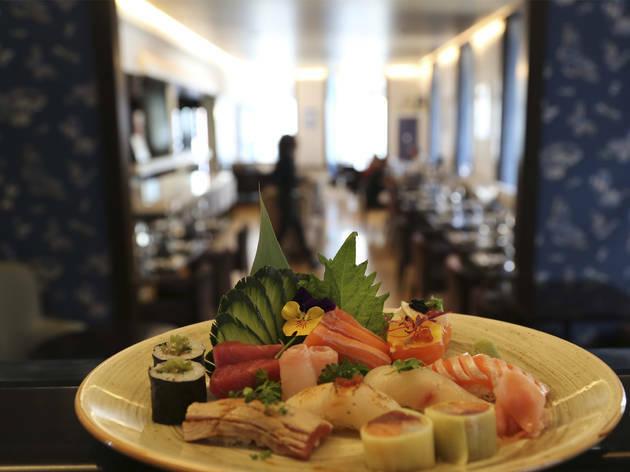 Yakuza First Floor has several rooms to choose from, a huge counter for those who love to see the sushimen in action and a signature menu where sushi fusions and specialities play the main role. 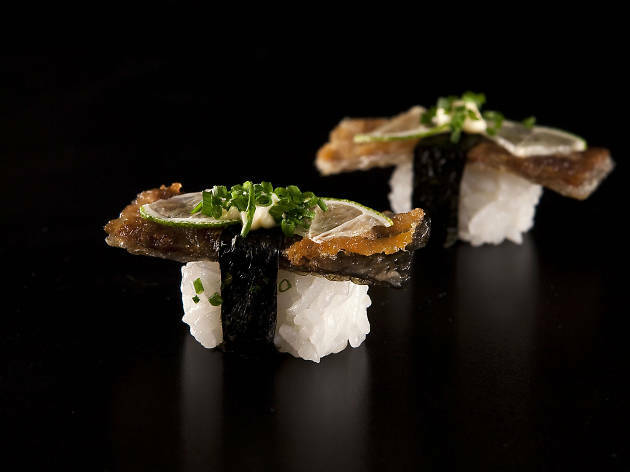 We have to highlight the gunkans - which are very creative, the toro sashimi, the robata dishes (grilled at the table) and even some not so Japanese ones - but amazingly prepared - fish tacos. At lunch the menu costs €15. 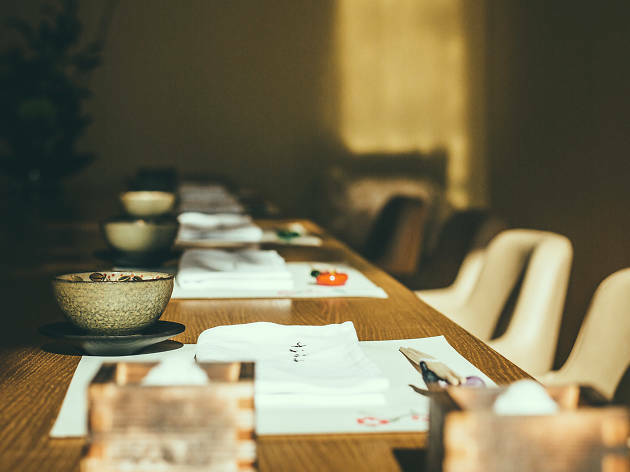 A huge wooden board serves as the single table and counter of this small 22 place restaurant, where the sushiman Agnaldo Ferreira shows that there is more to Japanese cuisine than just rice rolls and raw fish – despite the salmon tartare being an off the chart dish. Here, incredible hot specialties are served, as the grilled toro with spinach and sesame sauce or the ribs with teriyaki sauce, caju nuts and chime, grilled over an aromatized chalk. Try it, you won’t regret it. In the kitchen of this Japanese chop-shop is Yuko Yamamoto, a Japanese woman settled in Portugal for the last 12 years. The menu always has miso soup, sushi and sashimi, but there are also original specialties like the delicious fried balls of octopus or the crab croquets. They also have a very Instagram-worthy salmon zuke-don (marinated salmon over sushi rice) that was even one of our covers! Oh! And we almost forgot: they have complete lunch menus for just 9,50€. Of all this list it’s probably the Japanese restaurant with the most fusion food of all. A controlled but yet very present movement – or the hot Philadelphia rolls wouldn’t be one of the most coveted at this place. After their overwhelming success in Cascais, they opened at Rua do Alecrim, always with the same line of cuisine: a lot of sushi, sashimi and constant fresh fish as well as specialties like the eel unagi or the skin niguiri, with grilled salmon skin. Forget about cream cheese or strawberries on your sushi. 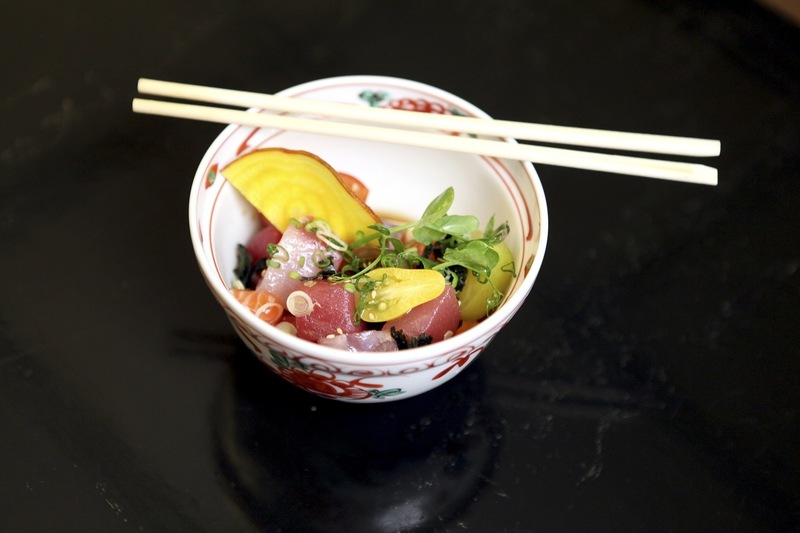 In Aron Vargas’s kitchen only the purest Japanese food is prepared, with very fine produce – Aron has a second restaurant at Saldanha that is stocked by the famous fishmonger Açucena Veloso, from the 31 de Janeiro Market – in dishes without any tricks, but of absolute quality. 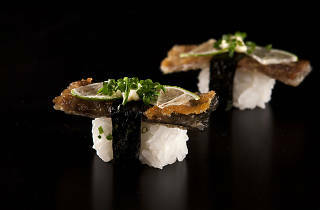 The variety of fish includes tuna, sea bass, octopus, squid and eel, that Aron, one of Takashi Yoshitake’s pupils, from the former Aya, cuts and works with true mastery. Leading the kitchen is Daniel Rente, a studious and knowledgeable of the japanese cuisine and the first to admit it has a enormous amount of possible combinations and flavours. 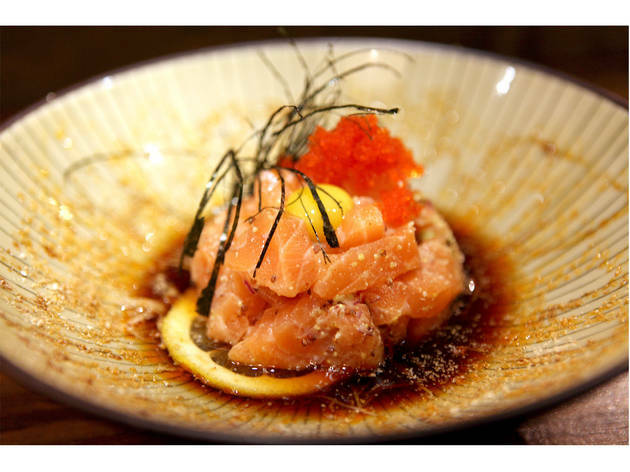 That’s why, even before starting off the menu with sushi and sashimi, you can navigate through the delicious vegetable gyozas, the salmon kimchi or the famous salmon tartare. You also have to try the black cod and the Japanese bitok, done with maturated steak (yes, there is egg and fries in it). It also has one of the best gin corners in town. 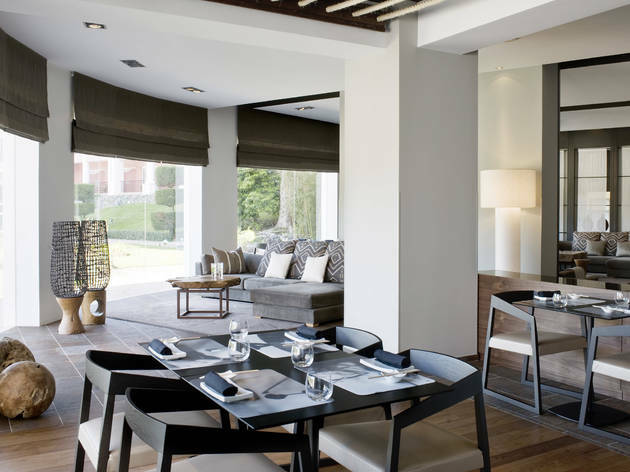 It’s the luxurious Japanese restaurant of the Penha Longa hotel, one of the best sushi places in greater Lisbon and a true school for whoever wants to learn and work in this type of cuisine. Leading the way is the chef Pedro Almeida, a constant talent when it comes to creating , conquering clients with his gyosas or wagyu steak, amongst others. 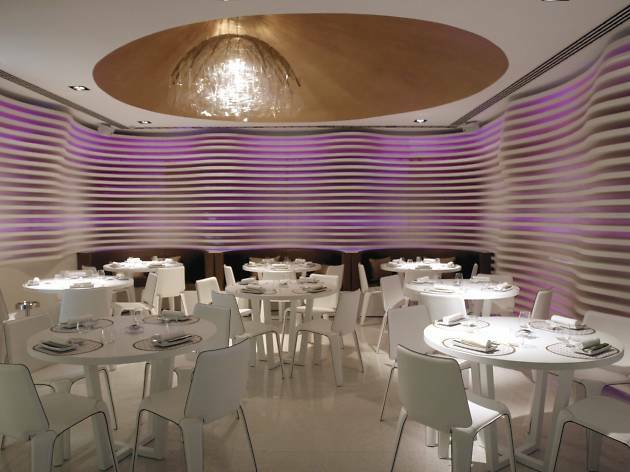 On Saturdays, there’s an endless buffet, ideal for those who want the true Midori experience. 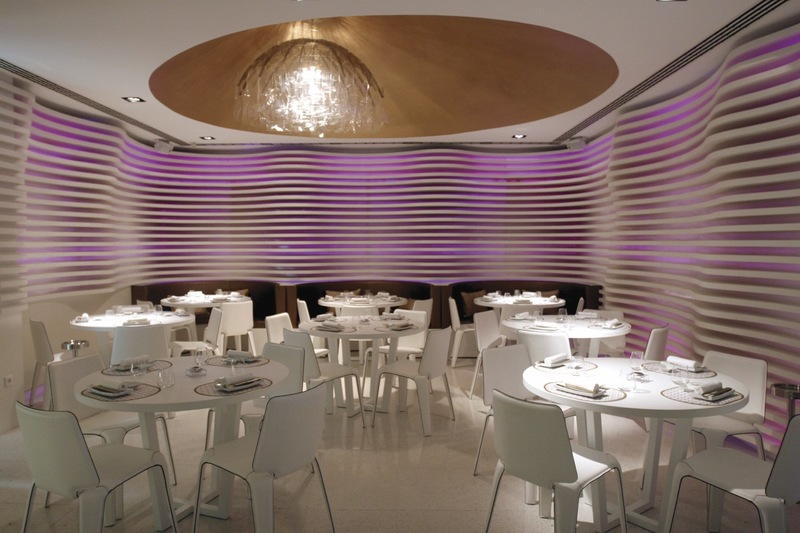 An experience you should step into with a lot of hunger. When it opened, in 2015, the traditional Japanese fanatics rejoiced. 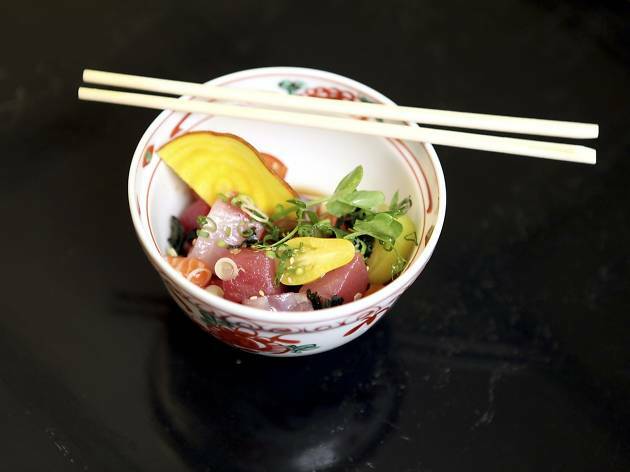 Go Juu, created by former Aya disciples, came to pay homage to the country’s most iconic dishes. It gained a spot on the hearts of those that like to eat quality fish. About their modus operandi when it comes to reservations, take note: it opens to the public for lunches from Tuesday to Sunday, and Wednesdays at dinner; from Thursday to Saturday it opens for dinner for Go Juu club members only, despite, if there is a table, welcoming non-members as well.